For little kids, you’ll need to do the cutting ahead of time. Cut out the candy cane shape from white paper or card stock, and ovals from felt for Baby Jesus’ blanket. Cut circles from manila file folders for Baby Jesus’ head and draw on a little face. 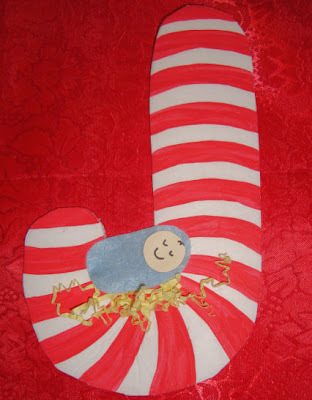 Start by having the kids paint red stripes onto their white candy canes (try to make sure the paper is turned like a “J”). It’s more important that they do it themselves than it is for the stripes to be perfect. (I made the one above. A toddler’s candy cane will not look like that- when I have a picture of the one my 4 year old made I will post it). 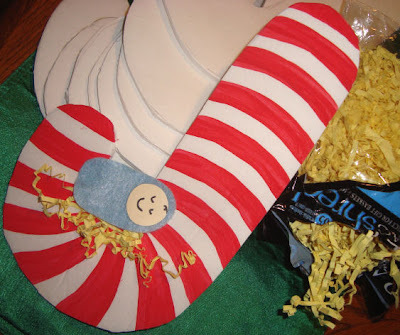 Have them put glue at the bottom of the candy cane and attach the shredded paper. Glue Baby Jesus together and add him to the “hay”. Grab Bag Ideas for the Letter Jj: (be sure to check out the Classroom Script for directions on using the grab bag.) Jingle Bell, Jacks, Jello, Jack O Lantern, Jar, Joker, Juicebox, Jerky, Jet, Jump Rope, Jaguar, Jelly, Jellyfish, Jellybean, Jug, Juicer. 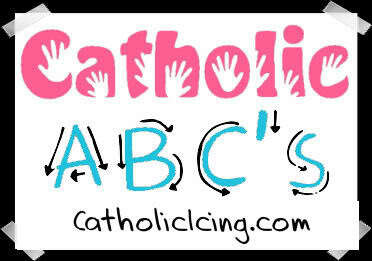 Remember that we will be taking a few weeks off from Catholic ABC’s at Christmas. God bless! 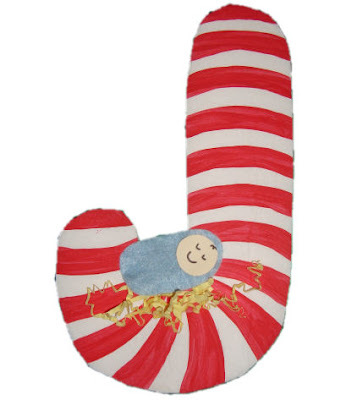 What a wonderful Christian craft for young children. I'll have to bookmark this idea. 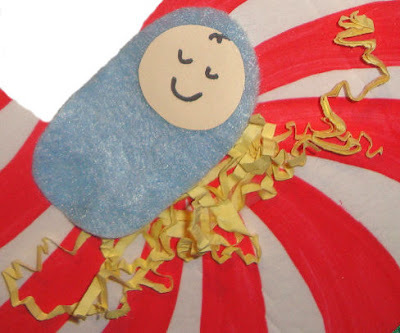 Lacy, the link from the ‘free’ Catholic preschool letters list for this post (J) is not working. Just a FYI. We sure are enoying working through the letters on your blog! Thank you for all your great work here!